Mark Covert ended the longest active running streak in the U.S. yesterday at 45 years. His feet were no longer up to the challenge. A 62-year-old community college teacher and track coach, Covert’s streak is an astounding lesson in commitment. Every day for 16,437 straight days—that goes back to the Johnson administration, in case you don't have a calendar handy—he's run at least one mile. Covert started the streak July 22, 1968, when he was 17. 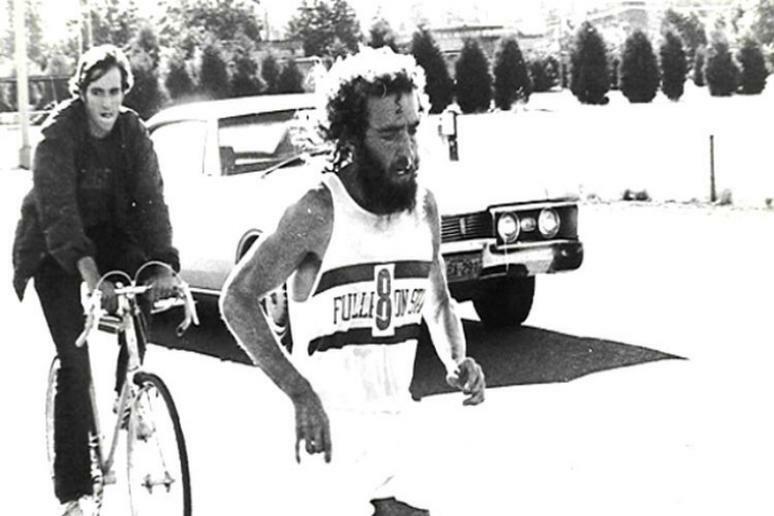 He was a good runner in high school and continued his competitive career at Fullerton State College, where he ran a 4:09 mile to win the 1970 NCAA Division II Cross-Country championships. Ron Hill, a former British Olympic marathoner and one-time world record-holder, owns the world's longest active streak at 48 years. However some "streakers" don’t consider Hill’s record legitimate—he’s covered the required distance on crutches on at least one occasion. Covert's hanging up his running shoes makes room for Jon Sutherland, 62, a friend and former high school rival who started his own streak on May 26, 1969. He's now the new active streak record holder in the United States. Covert is hardly ulettingp now that his streak has come to an end. Trying to get some tough workouts in while his injured foot heals, he borrowed his son’s bicyle and discovered that he can get a good workout in by riding. Covert’s prepping for a 100-mile ride later this year and is also working on a book about the streak with the working title Never Miss.